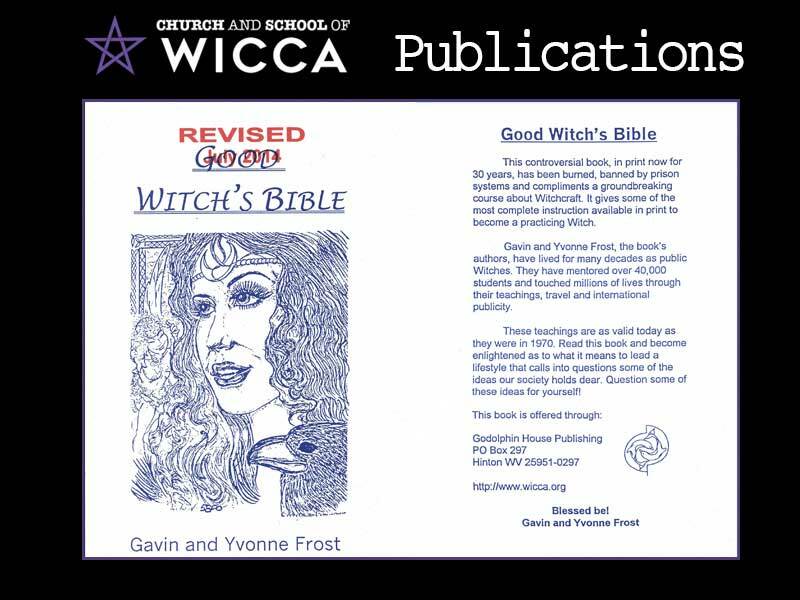 This controversial book, in print now for 30 years, has been burned, banned by prison systems and compliments a groundbreaking course about Witchcraft. 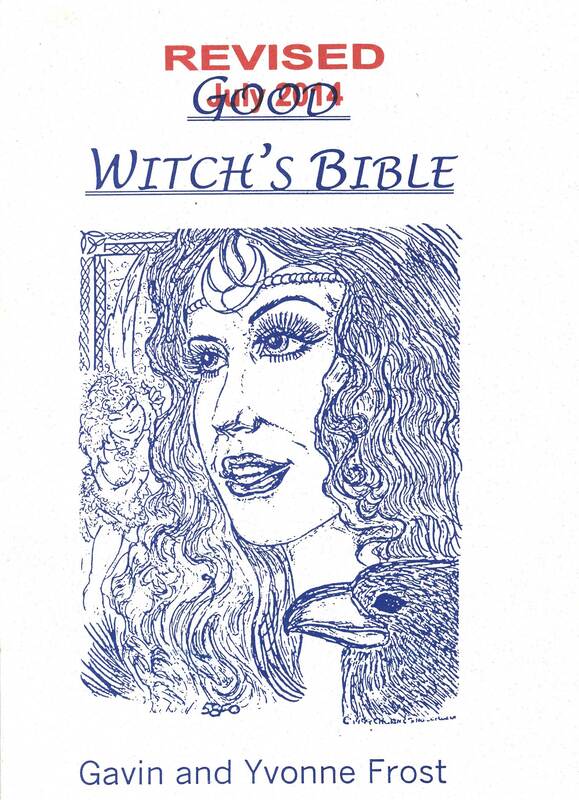 It gives some of the most complete instructions available in print to become a practicing Witch. 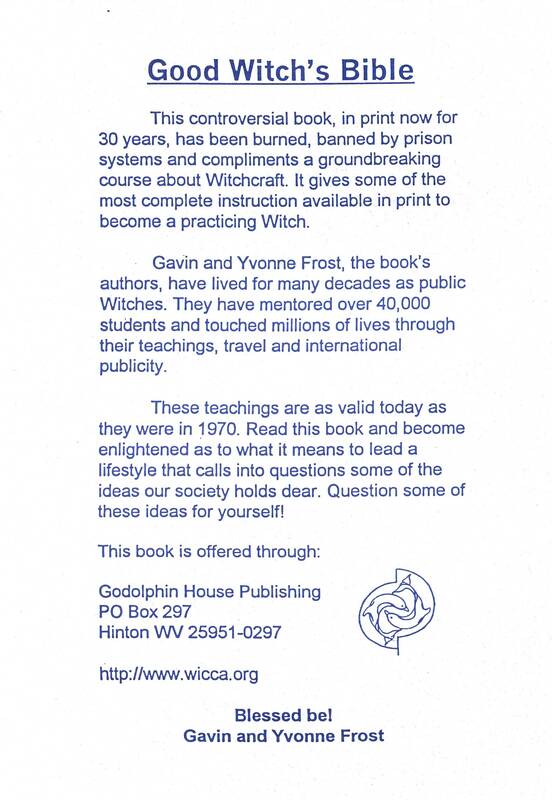 Gavin and Yvonne Frost, the book’s authors, have lived for many decades as public Witches. They have mentored over 40,000 students and touched millions of lives through their teachings, travel, and international publicity. 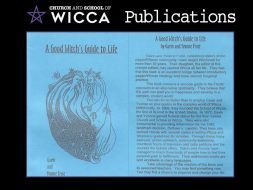 These teachings are as valid today as they were in 1970. Read this book and become enlightened as to what it means to lead a lifestyle that calls into questions some of the ideas our society holds dear. Question some of these ideas for yourself!